I’m excited to report that, using state-of-the-art deep sea sonar, the team has found the Apollo 11 engines lying 14,000 feet below the surface, and we’re making plans to attempt to raise one or more of them from the ocean floor. 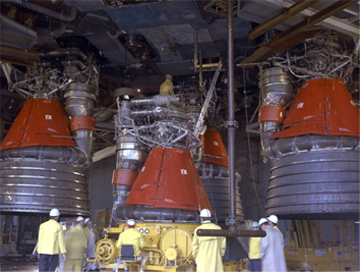 Those are BIG engines. Would be awesome to recover them.